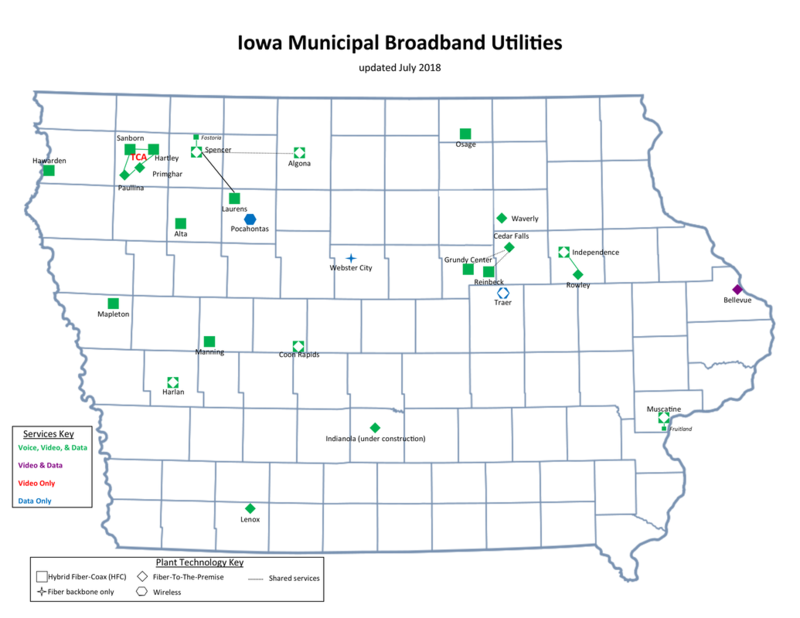 Since the early 1990's, over two dozen Iowa communities have responded to the needs of their citizens by building and operating community-owned broadband networks, also known as municipal broadband utilities. These communities vary in size from Primghar (pop. 909) to Cedar Falls (pop. 39,260), with the average population among Iowa municipal broadband communities of 5,660. Regardless of size, these Iowa towns share a common commitment to providing fast, reliable, affordable, and universal broadband access to their citizens. They are governed locally, respond to local needs, and employ local citizens. In addition to the communities on the map where networks have been built, a large number of Iowa towns have approved broadband utilities but have not built one. Several of those communities-including New Hampton, Charles City, Pella, Vinton, and Adair-are currently studying what it would take to build and operate their own fiber networks. It is likely that 2019-2020 will see several new community broadband networks being built in Iowa! Why Are Community Broadband Networks Popular? 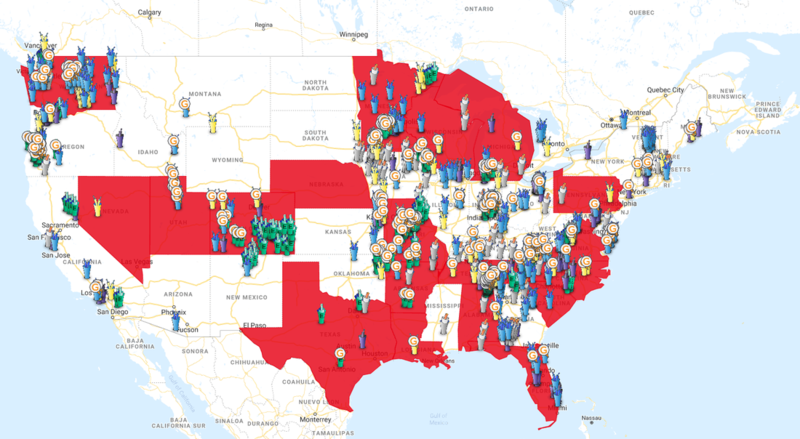 The number of community broadband networks across the nation is growing in large part because local citizens demand that their communities have access to the best broadband services possible. Building a new broadband network today means building it using fiber optics, not copper wires. Fiber optics cables last decades with less maintenance and higher reliability than any other network technology. Fiber optics is the future. And it is unlikely that incumbent providers will upgrade their networks to all fiber for a long time. So to bring the advantages that fiber offers, communities are choosing to do it themselves.